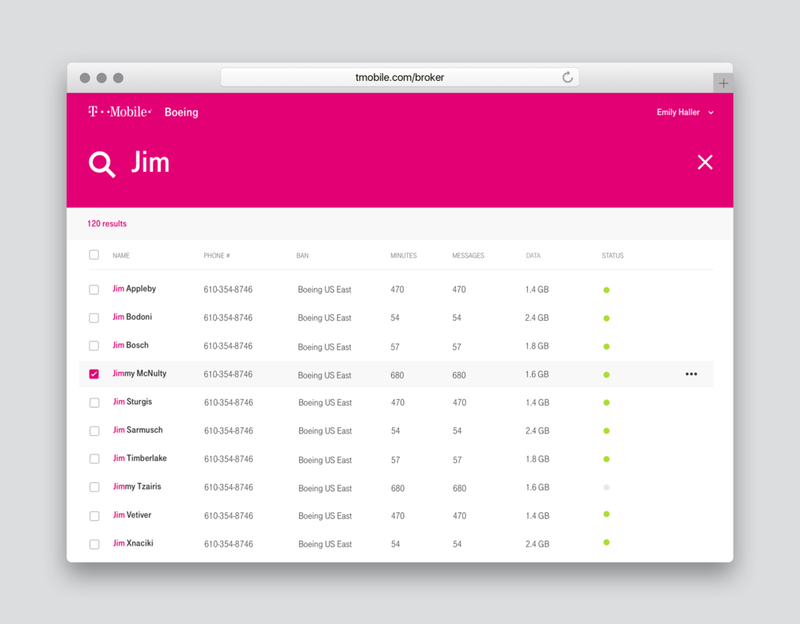 Together with Vlocity (Salesforce) we created a concept console for telecom administrators, T-Mobile. 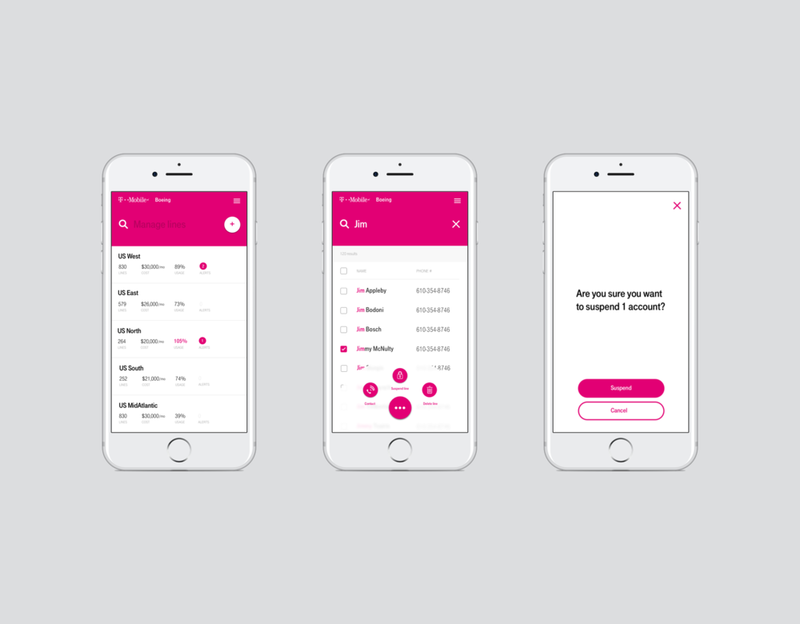 For this particular project, we were tasked with creating a user flow around suspending a corporate phone account, paired with forward-thinking T-Mobile brand application. The designs were well received by the T-Mobile team and helped secure more work for the Vlocity team. Designed at Redshift with Danielle Rayna and Lily Hu.